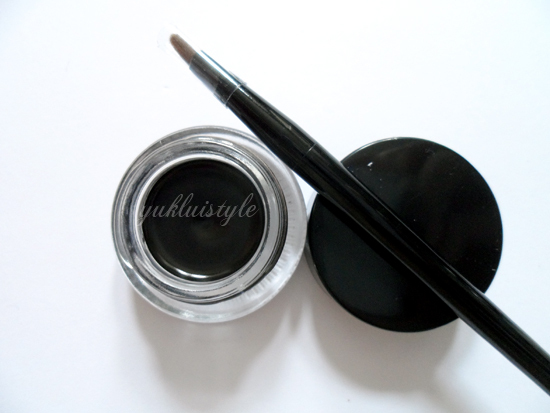 This is the asian release of the gel eyeliner. 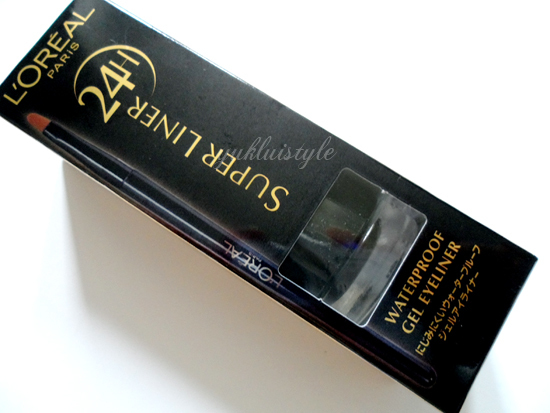 It is also called the Super Liner Gel Intenza here in the UK, Europe and America. The Gel Intenza has a gold lid as compared to the asian release. I believe that the formula is the same, just different packaging and name. On first application, I have noticed that this smudges as it does have long drying time. Once it dries, it sets. This isn’t good for those who are in a rush. The formula is really creamy and smooth therefore it does take longer to dry. Also means that you do have a bit of time to smudge it if you prefer a smokey look as compared to a defined look. 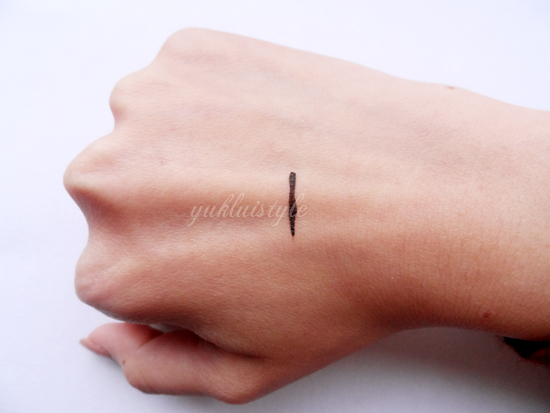 This is pigmented and sometimes I’ll need to apply it again over the current line to increase the intensity. This does last all day and didn’t crumble or flake as some gel liners do. Quite impressed with the lasting power of this however it does smudge on the outer lower lash line, my most problematic area, at the end of the day. Such a shame. I would just wear this on my upper lash line and maybe avoid doing a flick but I’ll have to try it out and see if it’d still smudge. Maybe I should try set it with black eyeshadow and see if it’d still smudge. 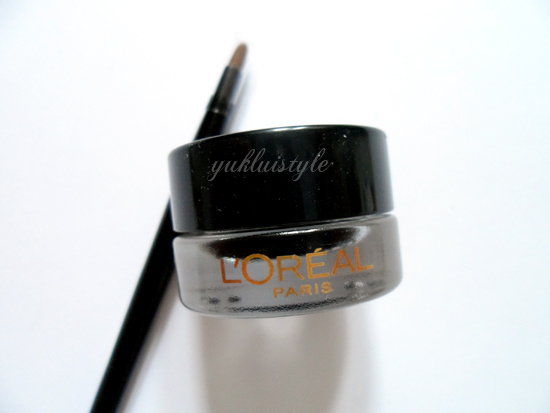 It comes in a small glass pot with a decent amount of product. With this, a little goes a long way so it will last you a while. The brush that comes with it is quite decent. Easy to use. Can draw a thin line with it but it requires practice and time. For the price, it is cheaper than higher end gel liners I’ve tried and had gave the same results. I’m not too sure if I would purchase this again. Will have to see. Thanks for the review. This seems like a decent product. this review is really helpful!!! im wondering which eyesliner i should go for.